It is now the hour for you to wake from sleep, for our salvation is closer than when we first accepted the faith. The night is far spent; the day draws near. Let us cast off deeds of darkness and put on the armor of light. Let us live honorably as in daylight; not in carousing and drunkenness, not in sexual excess and lust, not in quarreling and jealousy. Rather, put on the Lord Jesus Christ and make no provision for the desires of the flesh. Christ, Son of the Living God, have mercy on us. Are you interested in a closer relationship with Our Risen Lord, Jesus the Christ? Then read on, dear brothers and sisters! For the kingdom of heaven is like a householder who went out early in the morning to hire laborers for his vineyard. 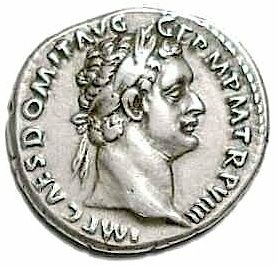 After agreeing with the laborers for a denarius a day, he sent them into his vineyard. And going out about the third hour he saw others standing idle in the market place; and to them he said, ‘You go into the vineyard too, and whatever is right I will give you.’ So they went. 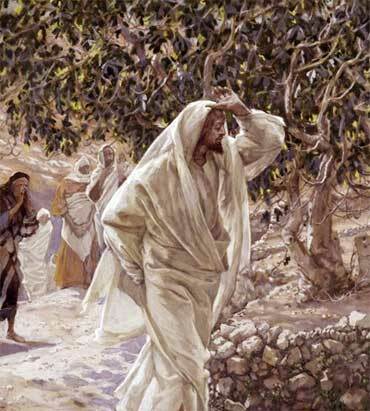 Going out again about the sixth hour and the ninth hour, he did the same. What strikes me most about this passage is how Jesus “meets us where we are at”. He calls us into His service even when its the last hours of the “day”, and He gives us the same wage as those whom responded to His call in the first hours of the “day”. And when evening came, the owner of the vineyard said to his steward, ‘Call the laborers and pay them their wages, beginning with the last, up to the first.’ And when those hired about the eleventh hour came, each of them received a denarius. …we are bound to give thanks to God always for you, brethren beloved by the Lord, because God chose you from the beginning to be saved, through sanctification by the Spirit and belief in the truth. To this He called you through our gospel, so that you may obtain the glory of our Lord Jesus Christ. So then, brethren, stand firm and hold to the traditions which you were taught by us, either by word of mouth or by letter. TO BRING US TO HER SON! Clearly stating that Mary IS the Mother of God. Yet her answer is not, “Oh, of course! I am so holy and free from sin, I know this is for me!” No, not even remotely. She instead wonders how God would choose such a lowly creature as her. She is married, but she and her husband have committed to remaining chaste (see the Life of Mary Advent reflection). How then is she to bear a son? The “power of the Most High” will overshadow her – something that only happened one other time in History. Whenever God came to visit His people in the desert in the meeting tent (see Exodus 40:34-35), He would “come upon” the tent and “overshadow” the Ark of the Covenant, filling the tent with His glory and majesty. Which means God did the same this with Mary, the New Ark! (See Rev 11:19 – 12:1). Humility! Pure and simple. 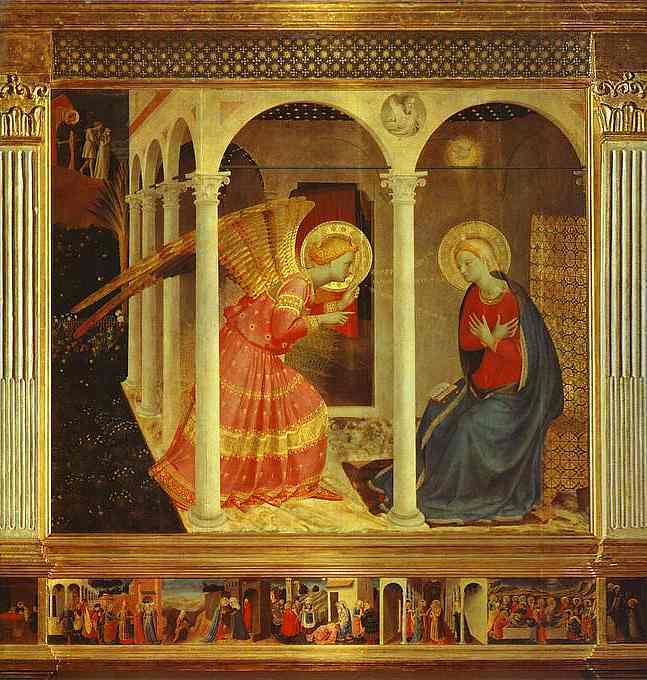 She didn’t understand, but she believed that what was spoken by the Angel of the Lord, would be fulfilled in her (see Lk 1:45). So it’s SUPER IMPORTANT that we imitate Our Blessed Mother (Lk 1:42), and have her bring us to her Son, Our Lord Jesus Christ, who will in turn welcome us into His Kingdom, guaranteed! And who did the Will of the Father best aside from Jesus? His Mother, Mary! Okay, so that leads me into 33 Days to Morning Glory! To best describe what this is, and how it will affect your life, please click on the picture above and watch the two short videos. Frankly, they say it all! Then after you’ve done that, click on the “Go Here” link at the bottom of that page to find out how you can participate in the next cycle of Consecration to the Sacred Heart through the Immaculate Heart at these last hours… And if you are particularly busy, this one is especially designed for YOU! Make sure you visit those Videos! If you like what you’ve read and watched, visit HERE for the specifics of “how to” receive that “denarius” wage – Your secured Soul’s Salvation.